CALL US TODAY TO PAINT POTTERY OR BOOK A PARTY! 216-505-0684! VIEW AND REGISTER FOR OUR CLASSES! I am so grateful to reach this milestone! Thanks to all of my family and friends, our amazing group of returning guests and new customers who have supported me and the studio! 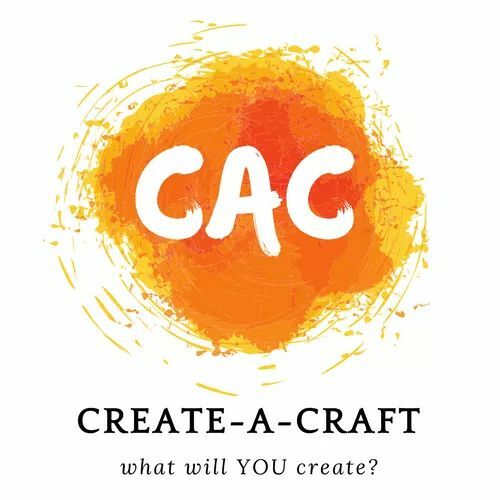 Excited to enter into my 5th year in business with Create-A-Craft! Continue to support us by liking and sharing our page and our posts!!! Hope to see you soon at Create-A-Craft! Hello friends! I have been busy teaching art at Gilmour Academy this semester and so things have been pretty quiet in the studio aside from private parties that guests have scheduled in our studio. Visit our facebook photos to see what we have been up to! Local artist Linda Zolten Wood has been teaching a 6 week painting series workshop in our studio and her next course is starting soon! Check it out here! It's time to book those summer parties! Our weekends are filling up fast! 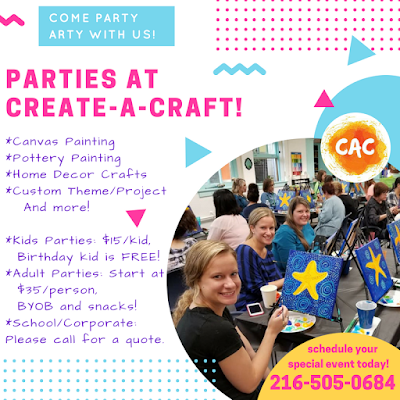 Call us today to schedule your summer birthday, family party or friends get together! We hope to see you in the studio soon! 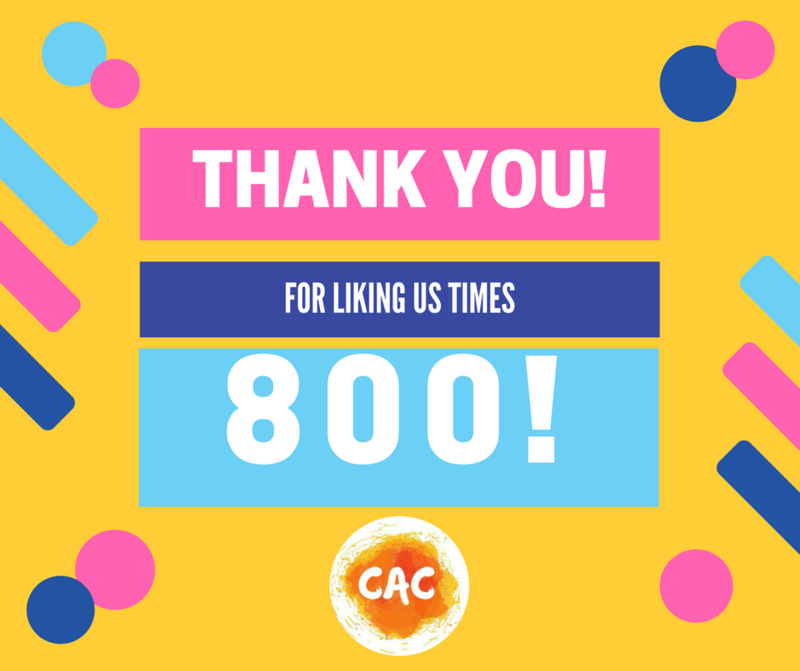 We are only a few likes away from 800 facebook likes! Please help us out by liking our page, inviting your friends to like our page, and by sharing our posts! Enter your email below to receive post updates!